Opening hours: Most shops are open Monday to Saturday from 9 am - 5 pm. Caneland’s and Greenfield’s Shopping Centres and Sydney St Markets trade to 9 pm on Thursdays. Stores are closed on Sunday and public holidays, except for annual sales events. In Mackay there is something for every taste and budget, excellent restaurants, beautiful parks, and a vibrant art scene. The surrounding area is extremely beautiful, and there are plenty options to choose from for a day trip out into the nature. Collect a free self-walk brochure from the Visitor Information Centre and discover magnificently restored buildings built by the first settlers, and the best collection of Art Deco architecture in Queensland. Many buildings are recognised for their national importance and listed with the National Trust. The walk takes approximately 90 minutes. This striking, award winning building right in the city centre, Artspace hosts a modern art gallery, museum, and changing local, national and international displays. 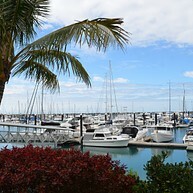 Marina Village is a palm-lined waterfront esplanade where luxury yachts are moored. Dine alfresco in one of the fine restaurants with views to the southern Whitsunday Islands or enjoy water-based activities (snorkelling, fishing, jet skiing, parasailing). Next door is Harbour Beach and the Pine Islet Lighthouse, the only working kerosene-lit lighthouse in the world. 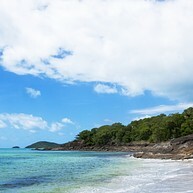 Stretching along Mackay’s coastline are more than 31 glorious beaches all fringed by the turquoise tropical waters of the Coral Sea and The Great Barrier Reef. Set in the mist-shrouded mountains, 80 km west of Mackay, Eungella is Australia’s longest continual stretch of sub-tropical rainforest. 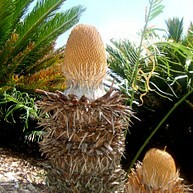 It is home to 860 plant species plus numerous types of wildlife. Do not miss the brilliant Ulysses butterfly and platypus! 25 km of walking trails, from a 10 minute stroll to overnight hikes lead to breathtaking views and scenery. Set in the foothills of the picturesque Eungella Range walking tracks lead to deep natural swimming holes amid tropical rainforest. See the Araluen and Wheel of Fire waterfalls and for a truly unique experience go Forest Flying through the treetops of the rainforest. In this pretty park, 50 km north of Mackay, the rainforest literally meets the ocean a terrific park featuring long white sandy beaches and 25 species of tropical butterflies. The unique self-guiding Jupiera Aboriginal trail highlights native plants and inquisitive wallabies that visit the palm fringed beach at sunrise and sunset. These beautiful scenic gardens highlighting flora of the Central Queensland Coast bioregion also feature over 3 km of walking and cycling trails, wildlife filled lagoons, themed gardens, a café and gallery making this an enjoyable free recreational experience for all ages. Bluewater Lagoon is a must-visit entertainment spot when in town - it's a fun water park that is completely free to visitors. 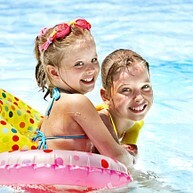 Pools, water slides, sunbeds and a great time for the whole family guaranteed. 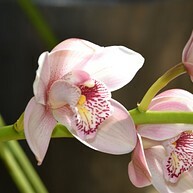 The Orchid Display House inside Queens Park in East Mackay is a great place to marvel at beautiful blooming flowers - an activity that goes nicely with the general tropical vibe of the city.